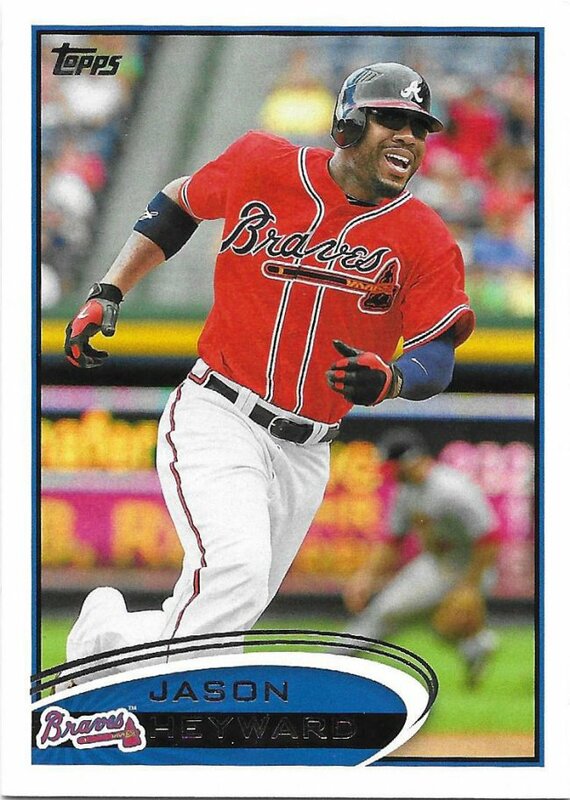 It’s hard not to appreciate the joy on Heyward’s face as he rounds what I believe to be third base. Love seeing the blurry fielder in the back telling us the ball is still on the ground. I’ve said it before, but I’ll say it again. 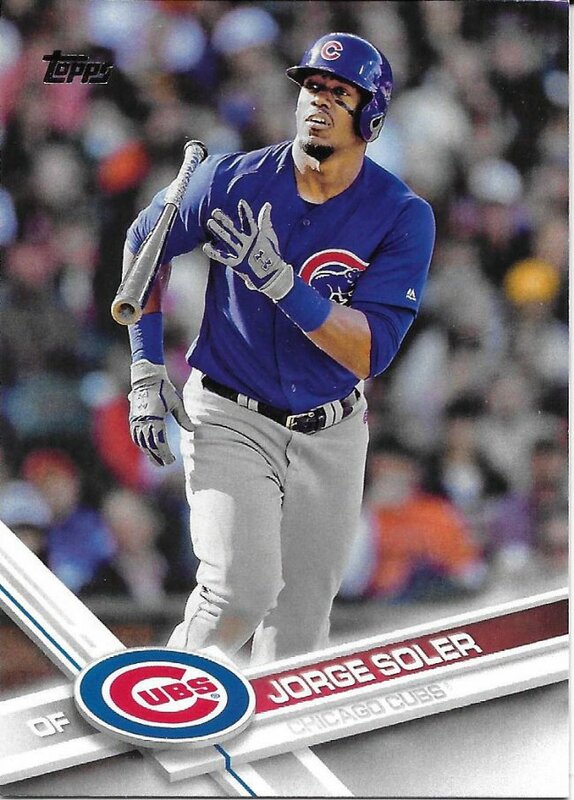 I hope Soler can avoid injuries this year and have a nice productive season with the Royals. 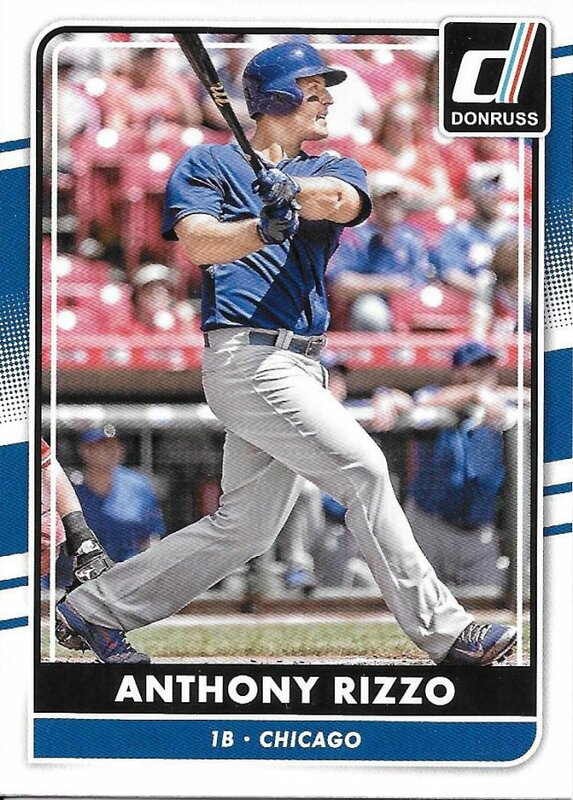 I have a very hard time keeping the different years of Donruss straight. They all look very similar. 2019 seems promising after a nasty 2018. This is from one of the prior years. 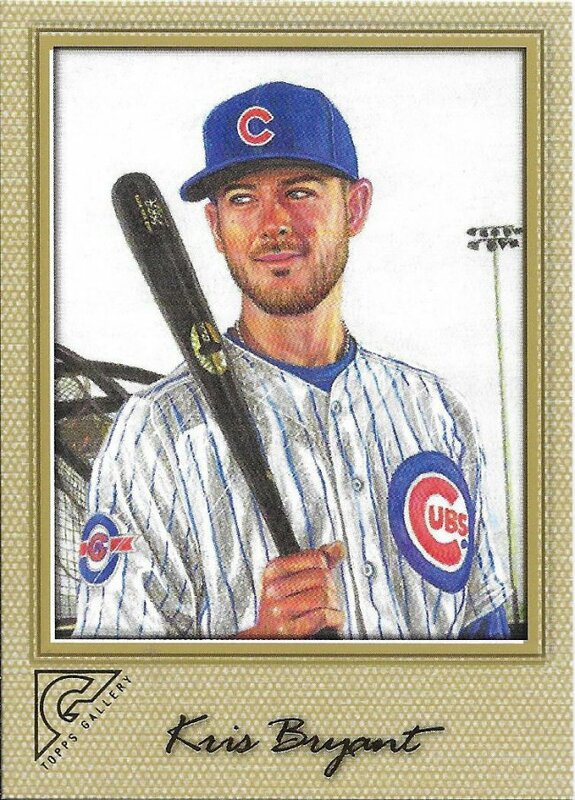 As far as I know, Bryant has not been named the Diamond King yet. No one should be subjected to this gross paintbrush photo filter effect, though. I’m losing track, but I think this is the non-variation version. The variations for 2018 (I do recognize this unflattering design) are extremely common and I was able to get virtually every one in the box I bought after this trade completed. I believe that makes the regular cards more short printed. It would be great if retail exclusive sets didn’t exist. I like to avoid Wal-Marts as much as possible and there are only a couple I know of in the suburbs, none actually close to me. I’m quite thankful for the trades that result in them. 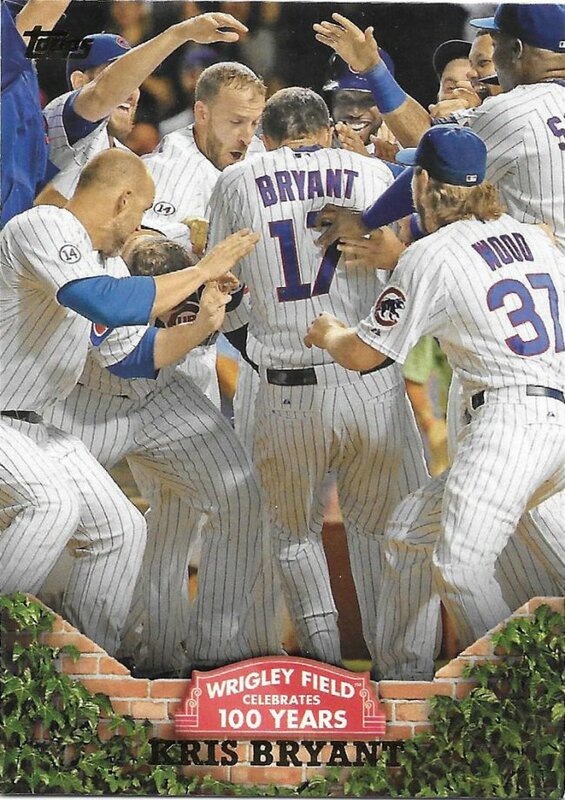 Matt even included this Bryant canvas parallel. I’m digging the colored pencil pictures. It would be even better if these borders had some texture to them. 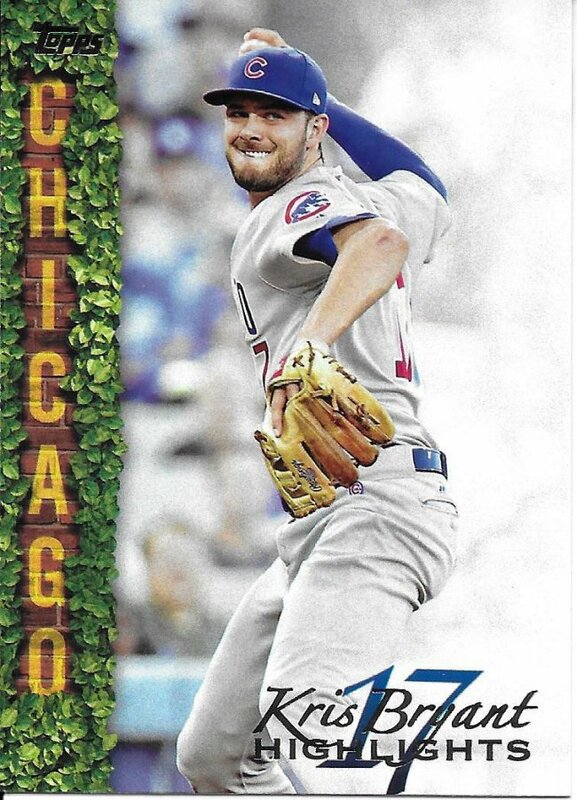 There are two KB cards in the Wrigley 100 year set. This is card #35 for those that care. 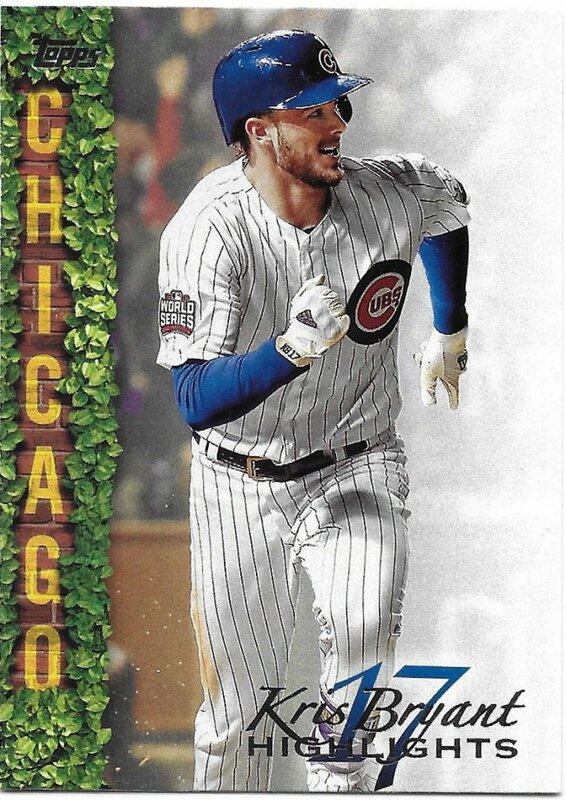 It could almost be a Panini card with such little logo showing, but it’s still a great image. 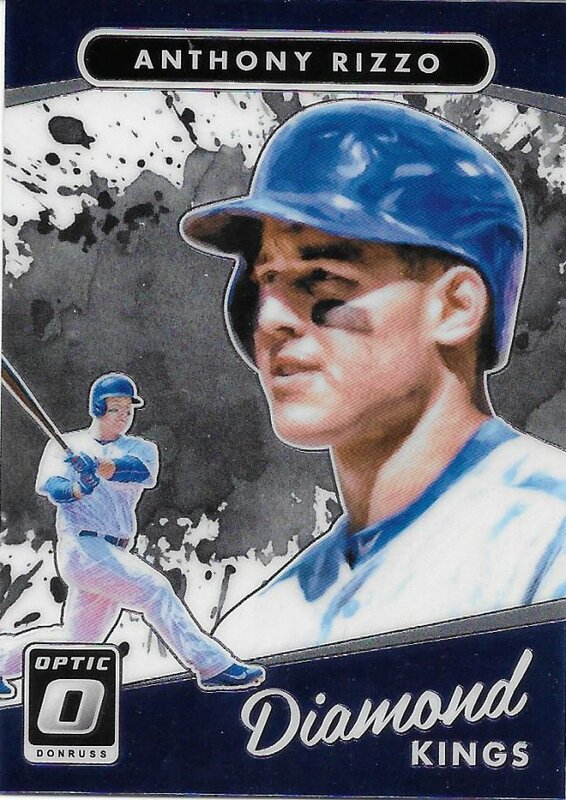 Speaking of Wal-Mart, Topps decided to reduce their local sales by putting the 30-card KB highlight cards in WM packs. Like I said, there are no in-city Wal-Marts in Chicago that I’m aware of. There are plenty of Targets (that got Jeter – another one that would be hurt by NYC Wal-Mart locations). I can think of 4 I can easily get to, and 2 I’m most likely to frequent. 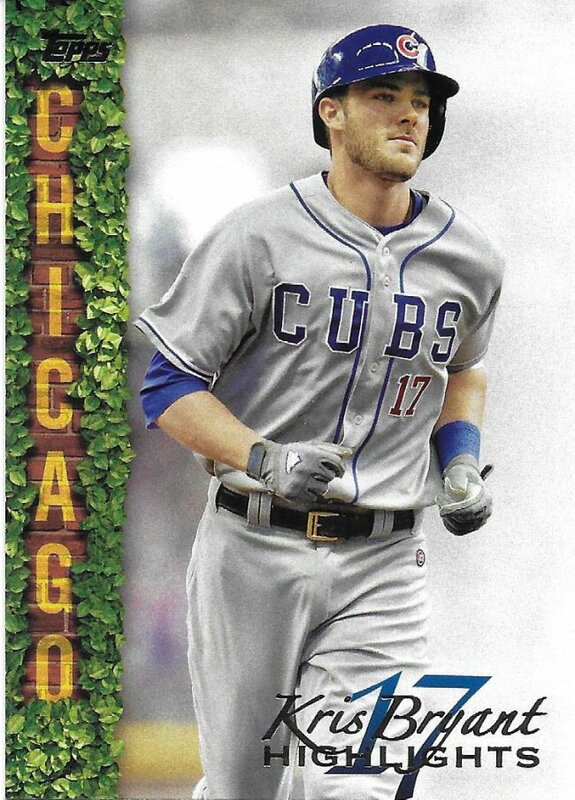 1 where I’ve seen a Cubs player in the store (story for another time). 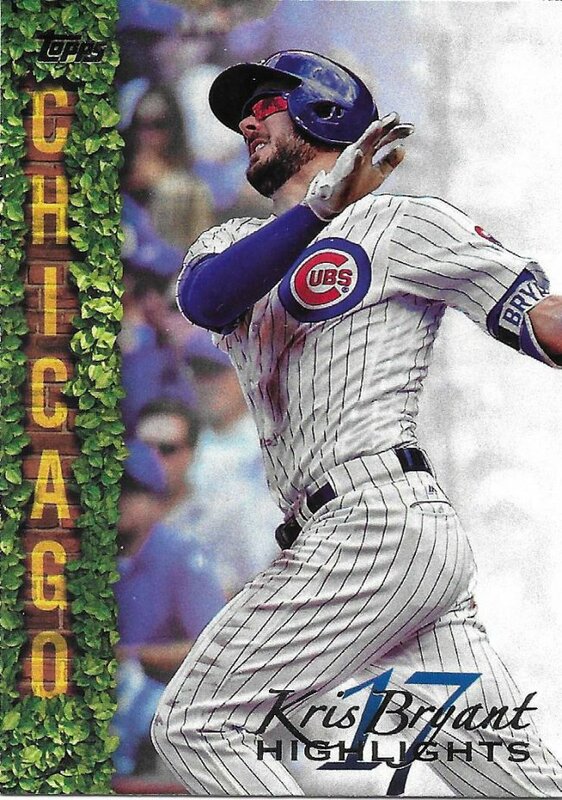 I’ll also say about these that I’m glad that Bryant is out of the way early. If they decide to do these every year, that’s fine. 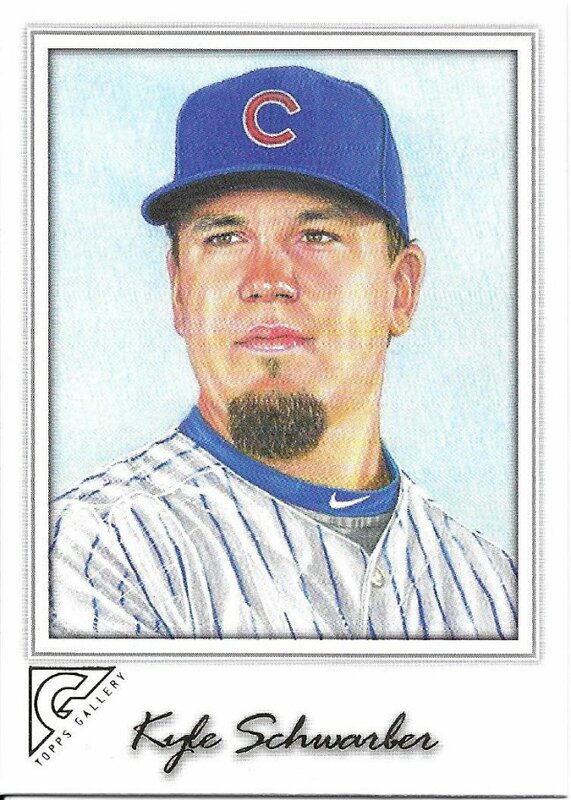 It brings to mind the 90’s Fleer sets, but just expanded. But since this was basically the first run of them, I’m happy it was done with just three parallel levels and not the 10 it will inevitably become. 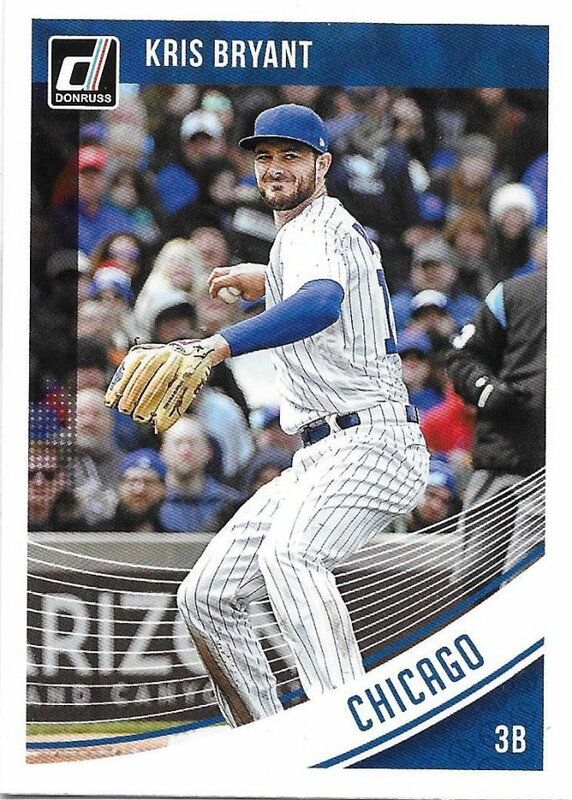 I hope to find quite a few of the parallels in dollar bins at the National, but if anyone wants to trade more of these to me, I would be grateful. Thank you very much Matt for taking the time to pick out some stuff and make a deal with me. I hope everyone checks out the blog and continues to help you with your time travel trade project, among others!